Today we’re celebrating the 4th of July here in the states and it’s a hot one today. Actually, it’s been a hot one all week and we still have more days left for this heatwave to bake us. I’m trying to keep this in perspective but I’m not gonna lie, it’s hard. And while it would probably be a good idea to sip an iced coffee, I don’t like iced coffee so I’ll grab my mug of freshly brewed coffee and start today’s chat with you. I have something to share! And it’s below! 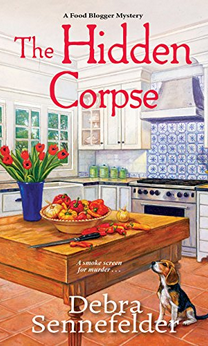 THE HIDDEN CORPSE (book 2 in the Food Blogger mystery series) has a cover and I’m thrilled with it. If you subscribe to my newsletter you’ve already seen the cover (if not, check your inbox). My publisher, Kensington, did a fabulous job creating the cover and I just adore Bigelow on the cover. Love him to pieces. Keeping with writing updates, I’ve hit the 40,000 word mark in my first draft of SILENCED IN SEQUINS. I’ve mentioned before I work from a detailed outline but it’s flexible which came in handy a couple of days ago. I felt there needed to be an extra scene to heighten the danger Kelly has put herself in by nosing around the murder and to also let her have some reflection on her granny’s recent passing. The scene came together and I wrote it and so far it’s my favorite scene in the book. Sometimes it seems like it’s all work and no play but I did manage to get out and work in the garden. I admit, it’s not my most favorite thing to do (bugs, poison ivy, excessive sunblock) but after awhile I do find myself enjoying the gardening tasks. 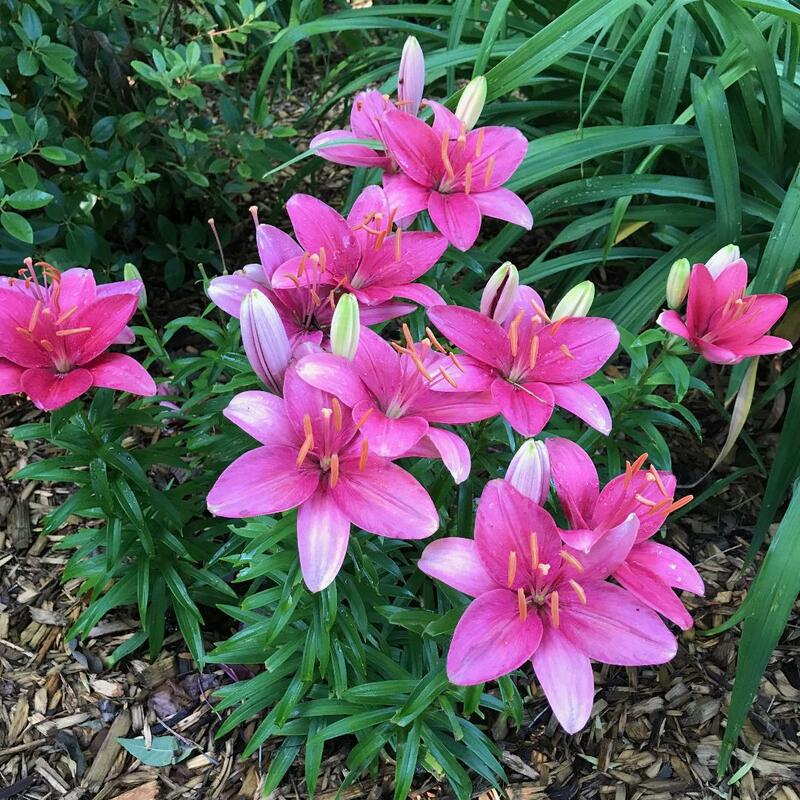 And I definitely find myself enjoying the flowers that bloom. I caught a glimpse of our raccoon and her FIVE babies the other morning. They were heading for their little home after a night of foraging. The babies were adorable. I also caught a glimpse of our wild rabbit. She was out for quite a while munching on leaves. I love all of the wildlife that I get to see here on our quiet little road. I’m going to wrap up this post. It’s been great catching up with you and I hope you’ll take a moment and let me know what you’re doing this week? Any vacay plans? What are you reading? I’m always looking for recommendations to add to my TBR.